at Bridgend Ford, South Wales. If you want to experience the All-New Focus, we can give you 48 hours to try it. Contact us today to learn more. FordPass Connect is one of our favourite new technologies and it involves simply downloading an App on to your smartphone. With FordPass 2.0 you can take advantage of features like vehicle location, remote locking and unlocking and remote starting. The remote starting is only available on the automatic transmission. The All-New Ford can be fitted with an optional modem that connects to the internet and can make an eCall, produce a Wi-Fi hotspot and even provide drivers with Live Traffic reports. This is called the FordPass Connect embedded modem. The interior is more spacious and comfortable and with this incredible new option, you can stay connected wherever you are. A brand new feature to the Ford vehicle line-up is the Head Up Display which sits conveniently on the dashboard on the drivers side of the car. It has been an iconic member of the Ford family for generations but nobody has seen a car quite like this, it has a 5-Star NCAP Safety rating and provides effortless driving thanks to the built in cruise control, keyless start and award-winning EcoBoost engine. 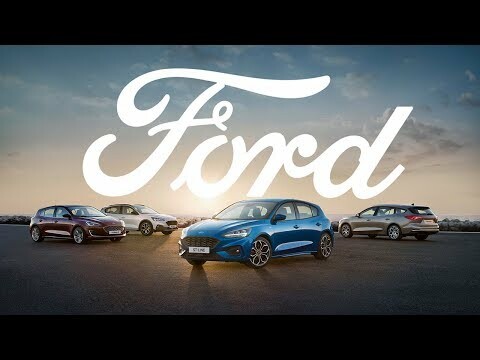 FordPass Connect has already proved extremely popular with UK motorists which is why this car comes with it when you opt for the Active X options. Other features include front and rear parking sensors, power fold door mirrors, heated driver and passenger seats and a power 6-way driver seat. We previously touched on the exterior design and we want to highlight that the All-New design has been specifically sculpted to create a shape that’s both aerodynamic and athletic which enables the Focus to improve efficiency even further. One of the major concerns on our roads is safety and that’s why technologies such as Cyclist and Pedestrian Detection, Pre-Collision Assist and Active Braking are integrated into the vehicle to protect other road users, your family and yourself. These features rely on sensors at the front of the car and alerts the rest of the system which then applies the brakes automatically, even if you don’t react in time. Ford have utilised every millimetre of space inside what is the ‘most versatile Focus ever’. The boot has an adjustable floor which enables you to take advantage of the hidden storage compartment giving you a huge capacity. If that wasn’t enough, the rear 60/40 split seats can fold almost completely flat. There chassis has been altered underneath the car which has created generous leg room for passengers along with more head and elbow room to maximise comfort. 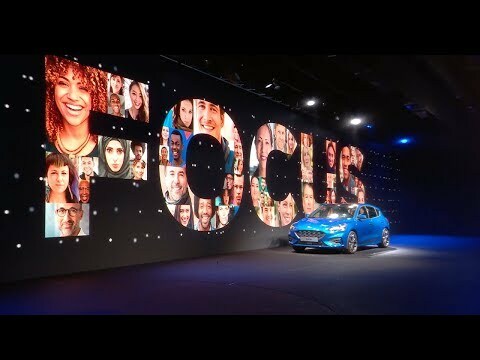 We don’t expect to see the All-New Ford Focus for a few months but we will provide you with further updates on our website and our social media pages. If you would like any other information please use one of our 30 second enquiry forms and a member of our team will be in touch.